Lubbock Christian University won the NAIA national championship in 2009, marking the first time the school had won the NAIA World Series since 1983. Phil Bryant was a member of that 1983 team. He quickly congratulated members of the 2009 squad. "I'm even more excited for these guys than I anticipated," Bryant told The Lubbock Avalanche-Journal after the win. Bryant's hand in the Lubbock Christian 1983 title became part of a successful college career, one successful enough for the Rangers to sign him as an undrafted free agent. His professional career began in 1987, but lasted just four seasons. He made it to AAA, but never made it to the majors. At Lubbock Christian University, Bryant went 7-4 in that championship year as a freshman. He went 10-0 his second. He also lettered all four years, according to The Avalanche-Journal. As a pro, Bryant played his first season at single-A Gastonia. There, Bryant went 9-11, with a 5.31 ERA. He got one of his wins in an early April game, going six innings and striking out seven. In late July, Bryant went 5.2 innings, giving up three earned runs, getting a no-decision. One run came on the first pitch he threw, giving up a home run, The Charleston News and Courier wrote. 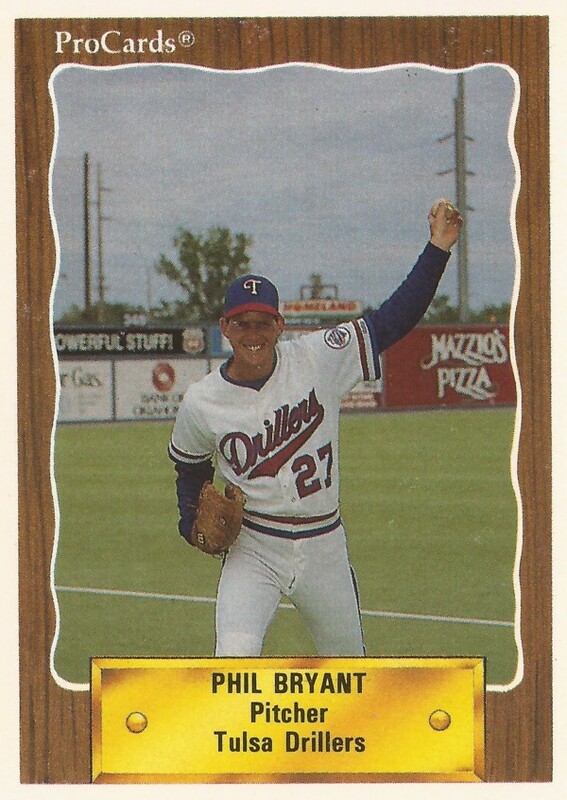 Bryant moved on to single-A Port Charlotte in 1988, going 4-2 as a reliever in 35 outings. He also posted a 2.41 ERA and earned a trip to AA Tulsa for 1989. At Tulsa, Bryant went 6-5 in 32 outings. Seven of those outings were starts. His ERA, though, went back up to 5.25. 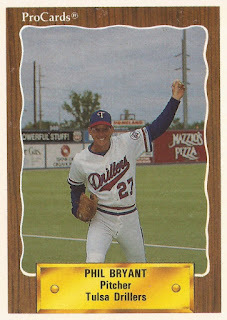 In 1990, the final year of his four in pro baseball, Bryant spent time at both Tulsa and AAA Oklahoma City. He posted a 3.38 ERA at Tulsa in 19 outings. He then got 14 total outings, nine of them starts, at AAA, posting an ERA of 5.90. Bryant came back for one more year, half a decade later as Bryant started six games for his independent hometown team the Lubbock Crickets, finally ending his career. After his 1990 season, though, Bryant started work as a coach, at his old university. He served as pitching coach there from 1991 to 1994, according to The Avalanche-Journal. Bryant has also spent time coaching high school baseball, at Lubbock Christian High. In 2005, Bryant's team made it to the state tournament on a 29-6 record. "What I challenged these guys to do today is to play great, regardless of who our opponent is," Bryant told The Avalanche-Journal. "I asked our guys to play great - not good enough, but great. I thought we had some great at-bats today, I thought we made some great pitches and defensively, we played great."